In 2015, Toronto’s four universities (OCAD U, Ryerson University, the University of Toronto and York University) identified student needs and options on transportation as a common issue that would unite students across all campuses in a meaningful manner. The Keele, Mississauga and Scarborough campuses of York and University of Toronto have been expanding as fast as the burgeoning residential communities that surrounded them. At the same time, the central locations of OCAD U, Ryerson, and the University of Toronto’s St. George campus have been drawing even more students from the far reaches of the GTHA. As a result of this effort, Toronto’s four universities collaborated on a massive data collection effort – StudentMoveTO – with the goal of collecting detailed data about where students live and travel throughout the day, as well as what factors influence how they schedule work, studies, and daily activities. A total of 15,226 students participated in this study. 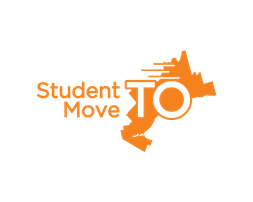 The StudentMoveTO data from 2015 is available to everyone. Students, researchers, policy makers, and community members can use this data to understand and form insights into post-secondary students’ everyday transportation needs and expectations.